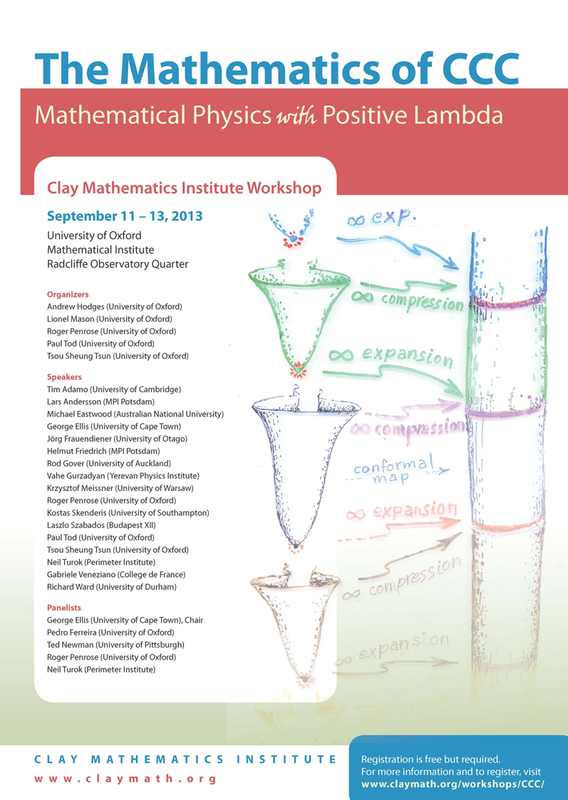 CMI invites proposals for small workshops at the Mathematical Institute in Oxford, UK. The aim of a workshop is to bring a small set of researchers together to focus on a key problem of current interest. Typically funding is available to offer accommodation and travel support for 10-15 senior people, and to pay for a workshop dinner. Others may request invitations. If some of the senior particpants are able to meet their own travel costs, then it may also be possible to cover the expenses of a number of students or early career researchers. The format of a proposal is not fixed. It should be brief. It should set out the reasons for holding the workshop at the stated time and the intended goals, typically in a single page. A list of intended funded participants and reserves should be included. CMI will provide logistical support, will book accommodation, and issue formal invitations to participants. For more information or to make a proposal, please contact the President, copied to the Administrative Manager. It is a good idea to discuss porposals with CMI before submitting them. It is hard to arrange accommodation in Oxford during the University terms.